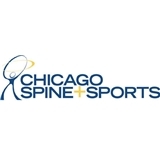 Chicago Spine + Sports (Chicago) - Book Appointment Online! Dr Donahue offers an evidence-based, integrated approach to our patients' care including treatments such as Certified McKenzie Diagnosis and Treatment, Blood Flow Restriction, myofascial therapy, Functional Dry Needling, and IASTM (Instrument Assisted Soft Tissue Mobilization). We utilize symptom and movement-based classification systems to develop a unique and distinctive treatment program for each patient. While chiropractic adjustments are important, they are only one health care tool. Some patients need adjustments, others benefit from muscular manipulation and a majority of our patients require a combination of joint manipulation, muscular therapy, and rehabilitation techniques. Our goal is to not only relieve your pain or symptoms but to also educate you in prevention and self-treatment. We believe that everyone should have the understanding of how to perform basic maintenance on themselves.